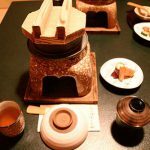 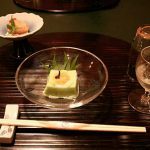 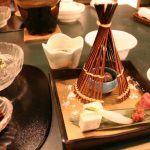 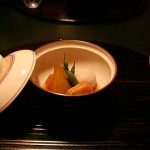 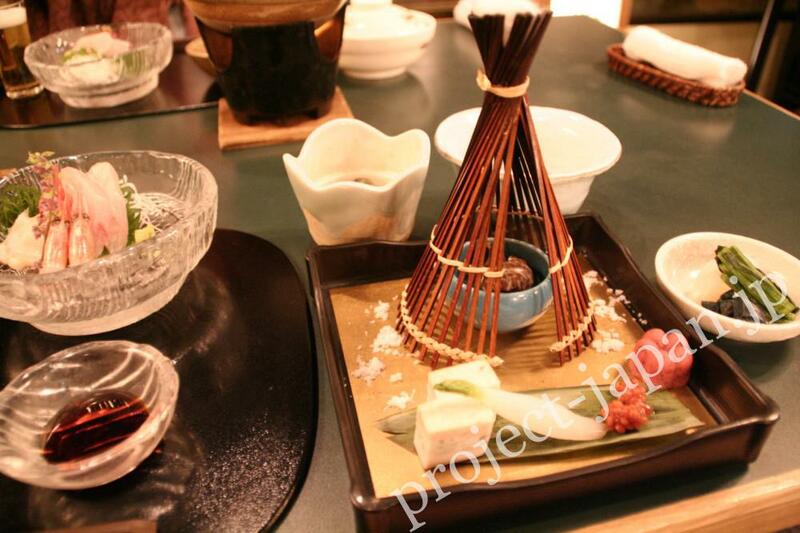 “Kaiseki (ryori)” is one of the Japanese traditional style of cuisines, originated in Tea Ceremony. 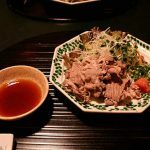 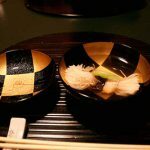 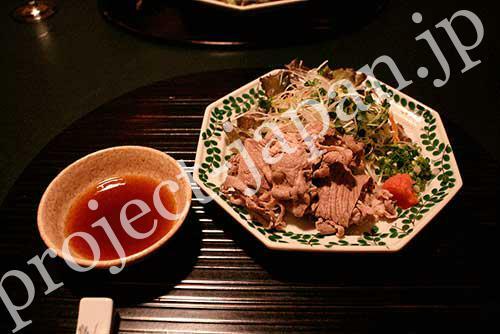 First, appetizers are followed by sliced raw fish, and the following foods are served one by one; hot clear soup, grilled fish or meat, steamed foods, marinated food (food without heating) and rice or noodle. 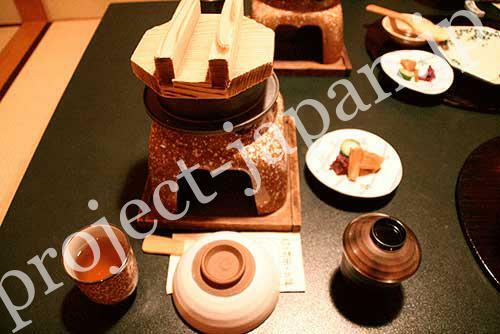 The meal is always topped off with sweets and green tea. 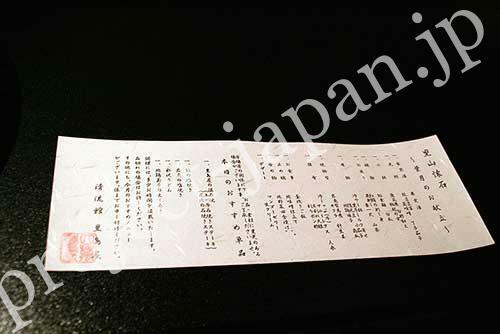 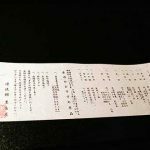 And of course you can order alcohol (I think rice wine, “Sake” is best, hot or cold as you like) /non-alcohol drinks during the meal. 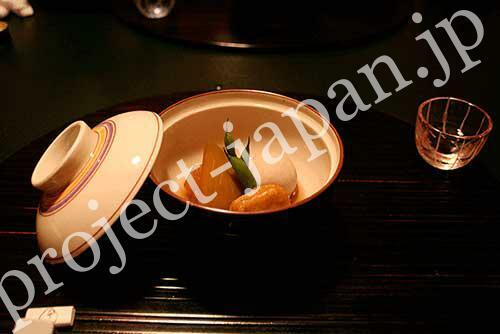 Also to please the eye, the foods are served on beautiful dish and bowl, and present sense of the season. 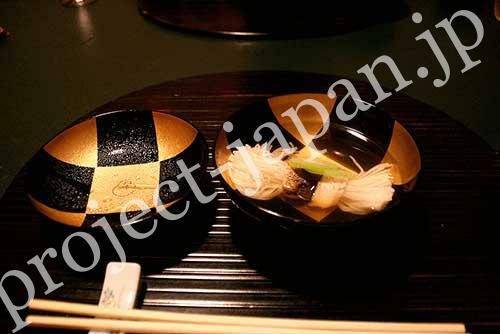 It is important factor in Japanese cuisine. 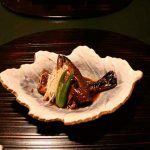 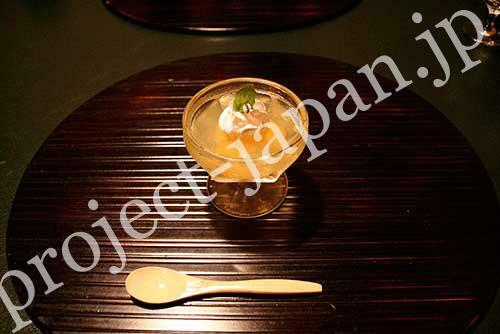 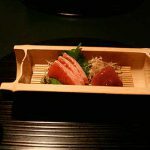 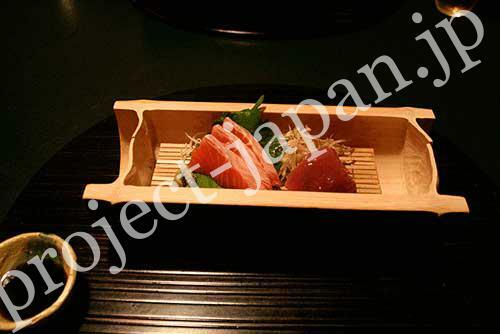 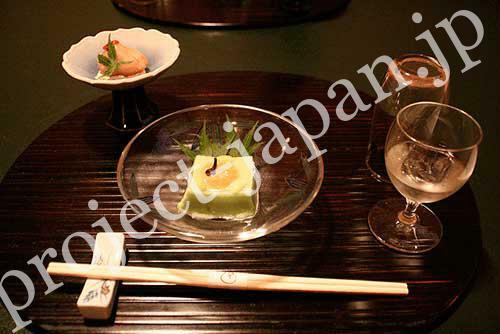 We may say Kaiseki’s way of serving dish is like the way of French full course. 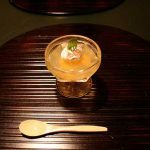 They are resemble in not only the way of serving, but the hospitality style that the chef or hostess comes to you to explain the foods in detail and have small talk. 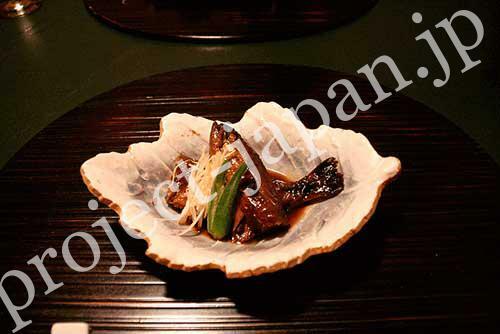 The chef gives 100% at work to make the guests’ tongue, eyes and sentiment enjoyed.